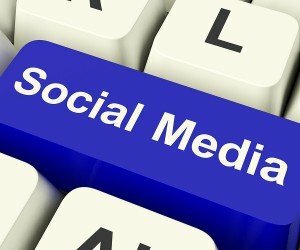 Social media is potentially the most powerful tool in the small business marketing world. Using social media platforms can be a great way to spread the word about your business, explain how your product or service can solve people’s problems, build your contact list, and increase sales. Being limited to a photo and/or a brief blurb means that your social media marketing posts must be targeted, purposeful, and concise in order to be effective. Here are our top three essential tips for making the most of social media resources for small business marketing. Do some basic research to determine what platform(s) your potential clients prefer to use. This will save you from wasting time pursuing leads on other platforms where you are less likely to pick up customers for your business. If your target audience typically uses Facebook, and you decide to use Instagram for your small business marketing, you’re dead in the water before you have even started. Try to choose just the two or three social media platforms used most often by your target audience to help you stay focused on the goals of your small business marketing campaigns. Know when the traffic peaks and valleys are on your chosen platform(s), and be sure to add new content during the peaks. Once you know where to find your audience, you need to figure out how to convert them into customers. What sort of information do you need to share with them that will make them want to learn more about your product or service? Knowing how to reach your audience and how to entice them to buy your product or service is essential to the success of your small business marketing campaign. Resist the urge to use every post to sell your product or service. Try to use an 80/20 ratio, where 20% of your posts are used to promote your product or service, and 80% of your posts highlight your customers’ problems and explain how your company can solve them. Get to know your audience even better by asking them questions, answering their questions, soliciting content from them, and gathering feedback right there on your chosen social media platform(s). This information will help you to understand your potential client base better, and you can use their feedback to tweak your small business marketing campaign to sell more of your product or service. This could be the primary source of material for 80% of your social media posts. Social media can be a quick and fun way to reach new clients and gather referrals, and ultimately meet the goals of your small business marketing campaigns. But social media alone probably won’t get you the sales you really want. Successful small business marketing is a multifaceted process, but you don’t have to do it alone. Request a complimentary SEO analysis from Persist SEO. We can help you determine what keywords you should focus on to best reach your target audience and work to maximize those results.